The Black Horse at Woburn – nice. I ended up getting to within 1,000 miles of the next service interval which meant that since getting my motorcycle and licence back in early September 2014, I’d managed the best part of 5,000 miles in a little over five months, most of which were the depths of winter. Not too bad even if I say so myself – especially given the tendency of most UK bikers to hibernate over the winter and my Australian riding history of never going out for a ride if it were under 20 degrees or raining. At the service my motorcycle also received new tyres, the front and rear brake pads were replaced and the faulty cruise control switch was replaced. The Family Truckster’s preparation was complete and it was ready to go. I’d always used Garmin’s MapSource on my PC for route planning, creating waypoints, routes etc and downloading them to my BMW Motorrad Navigator IV GPS. Having been some years since last doing any route planning, I was a bit rusty, even though I’d successfully remembered how to update the GPS to the latest maps and software version using Garmin’s lifetime updates option purchased when I first got my K1600GT back in 2011. Wanting to ensure the map versions were the same on both the GPS and MapSource, I contacted Garmin support, only to learn that MapSource was no longer supported by Garmin and had been superseded by BaseCamp. After downloading and installing BaseCamp to my PC laptop (although unlike MapSource there is also a Mac version) I set about transferring over all the routes I’d already done in MapSource – a pretty simple process as it turned out. Luckily the time I’d spent programming Spain motorcycle tour routes in MapSource wasn’t wasted. 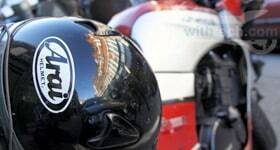 and an interesting website I found by Googling Andalucia motorcycle routes. It had taken about 10-12 hours over a 2-3 days to get everything sorted out with BaseCamp, research and programming but I ended up with 14 rides in Andalucia planned and downloaded to my GPS in addition to the 3 that would safely and speedily get me from Bilbao to Benalmádena and directly to hotels I’d booked in Segovia and Valdepeñas. 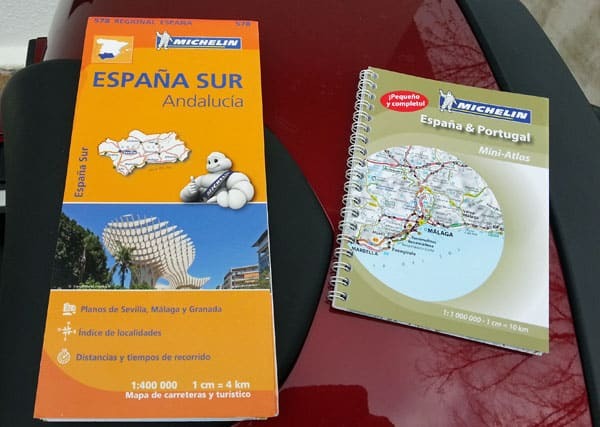 So that was route planning done, though I’d be taking my PC laptop with me so more could be created should the need arise while I was on my Spain motorbike tour. Plus, as a fall back just in case my GPS or BaseCamp misbehaved, I’d have some old fashioned paper maps that I could refer to. Papers maps in case of a catastrophic GPS failure – not that I’m expecting one. 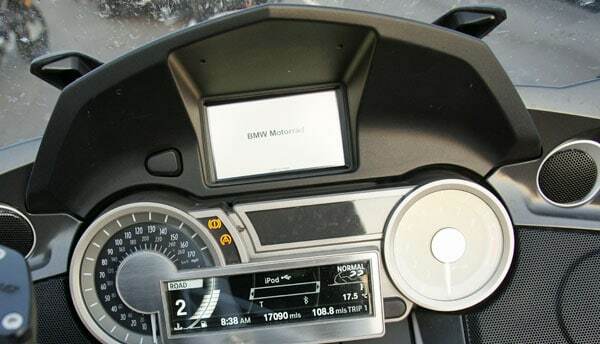 Navigation sorted now what other tech would I take with me on this Spain motorcycle tour? Most hotels these days have free wifi and the apartment I’ve booked in Benalmádena has wifi – I just hope the free wifi I have access to is not painfully slow. This is a bit of a lottery sometimes but fingers crossed for the best. I consider my PC laptop a must – so many uses and smaller than my MacBook Pro (plus I don’t really like it that much). The laptop acts as a mobile office whilst I’m away just in case I need to attend to anything urgent that comes up. It’s also essential for photo/video editing whilst on the road and blogging so its definitely going to make it on tour. And of course I’ll take my iPad (best thing Apple has ever made), Samsung Galaxy Note II smartphone and iPhone – data roaming disabled, of course. I dusted off my GoPro’s a couple of months back and reacquainted myself with their operation and especially that of the wifi back pack and remote control that I’d never really had the chance to use before surrendering my licence. The back back and remote is brilliant but this functionality is now build into the latet GoPro’s. The GoPro smartphone app is possibly even better as it’s really useful for checking how well the camera is located on the bike though operating it while riding would be near on impossible. I’ve been thinking about getting one of the later model GoPro’s but so far have resisted. Will stick with what I already have and bring my Hero and Hero 2 GoPro’s and an assortment of mounts and spare batteries. But what about my compact DSLR Sony NEX-5 camera? Smartphone cameras were pretty good these days and all my camera kit would take up a lot of space. Maybe I can get by without it? But it does take great photos – I’d probably regret leaving it behind – so it’s coming too. This morning I packed everything and loaded the bike – I’ve got too much stuff, as always. It’s less than what I took with me to Turkey in 2011 but I still feel over-burdened with clothes and tech kit and accessories. My pannier and top box contents have been decided and are already loaded. The back seat will carry my clothes, heavy duty security chain and newly purchased BMW waterproof laptop bag. 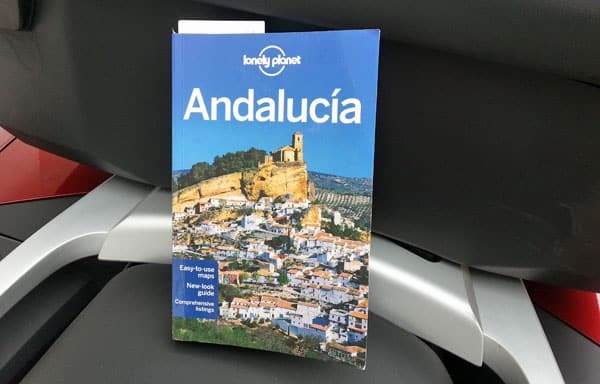 If all goes according to plan I’ll only offload one pannier bag and my laptop bag on my overnight stays enroute to Benalmádena- the rest can stay on/in the bike on the ferry and in the hotel garages that have been pre-arranged. At least that will save some time and effort unloading, packing and reloading each day. I’ve done the preparation, my riding skills are as good as ever, the bike is in great shape mechanically and ought not need anything done to it while I’m away other than refuelling. My bags are packed and I only have a few items left to load and secure. 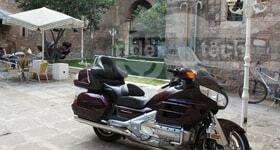 Tomorrow my Spain motorcycle tour would begin and I can’t wait.